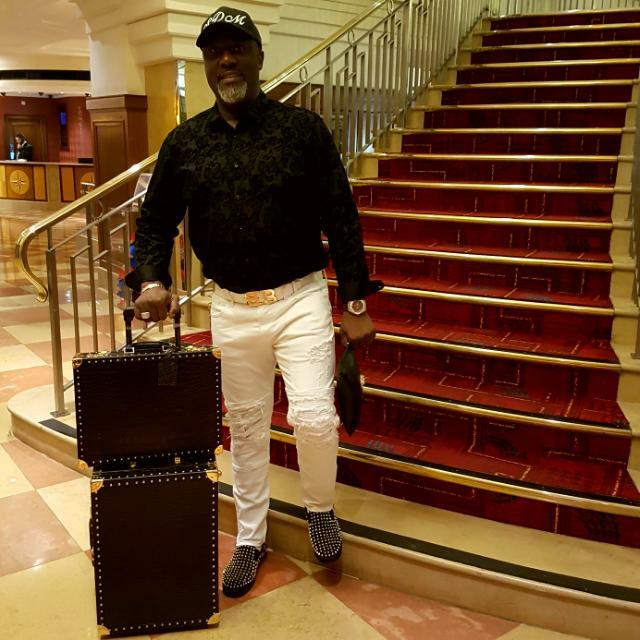 The Senator representing Kogi West in the Senate, Dino Melaye, has debunked media reports (not in LEADERSHIP) that he was evading service of his recall 'petition' by the Independent National Electoral Commission (INEC), saying he is out of the country as a result of the annual vacation by members of the National Assembly. But INEC, unable to serve Melaye the relevant documents personally as ordered by the court, accused the federal lawmaker of evading service and has consequently approached the same Federal High Court to grant it permission for a substituted service of the controversial petition on Melaye. 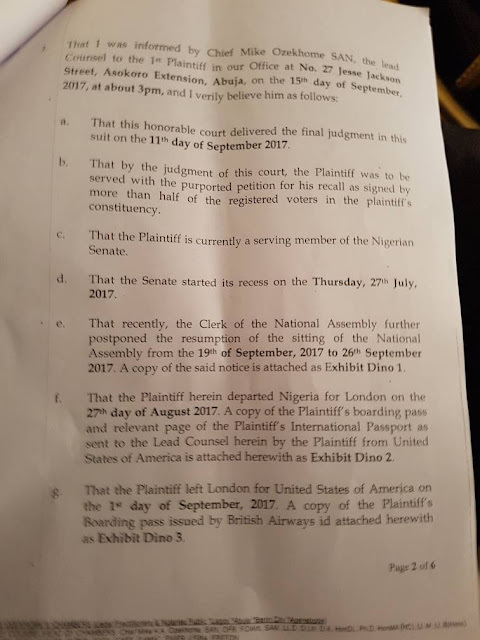 In an Affidavit of Facts deposed to by Mr. Akpomieme Akpomiemie, a legal practitioner in the law firm of Chief Mike Ozekhome's chambers, counsel to Melaye, the lawmaker was said to have traveled out of Nigeria to London on August 27, 2017 with a copy of his Boarding Pass and relevant page of his International Passport as sent to the lead counsel from his current location in the United States, attached as Exhibit Dino 2. 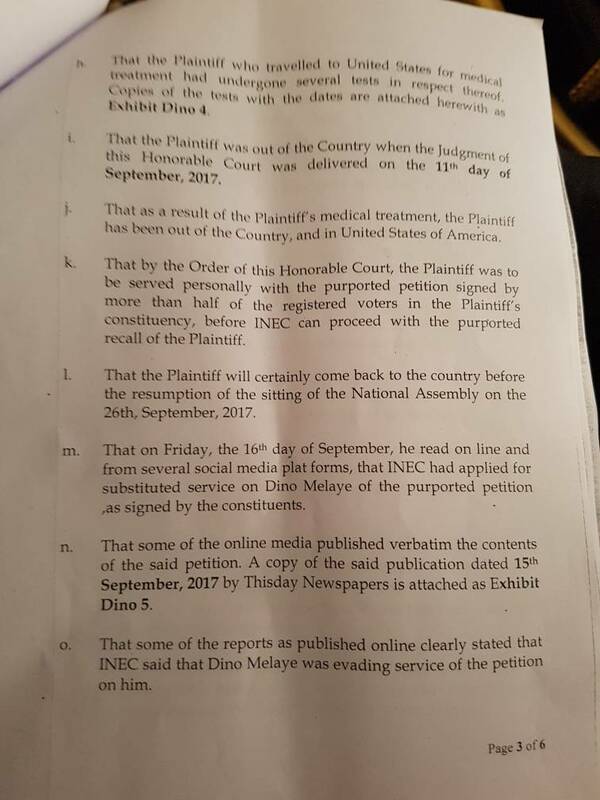 The deponent added that Melaye left London for the United States of America for medical treatment on September 1, 2017, and a copy of his Boarding Pass issued by the British Airways is also attached as Exhibit Dino 3. 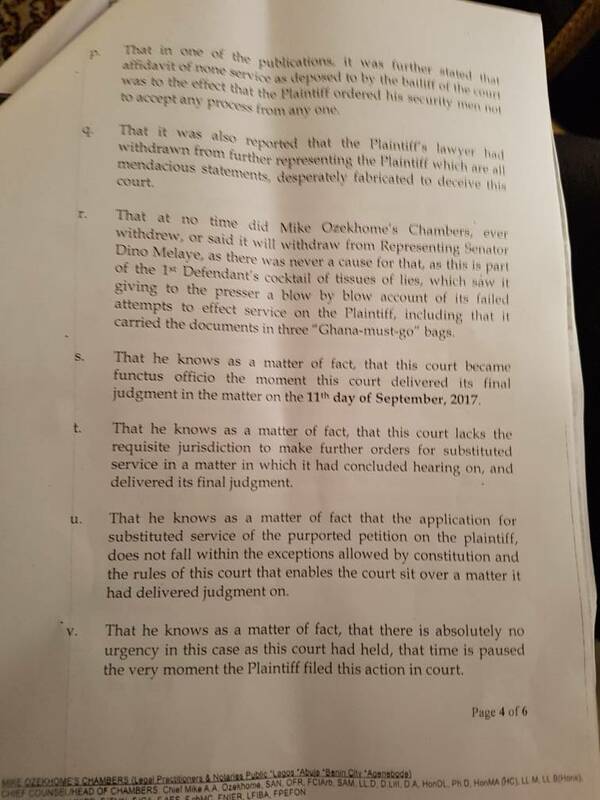 He also averred that Melaye was out of the country when the judgement of the court was delivered on September 11. 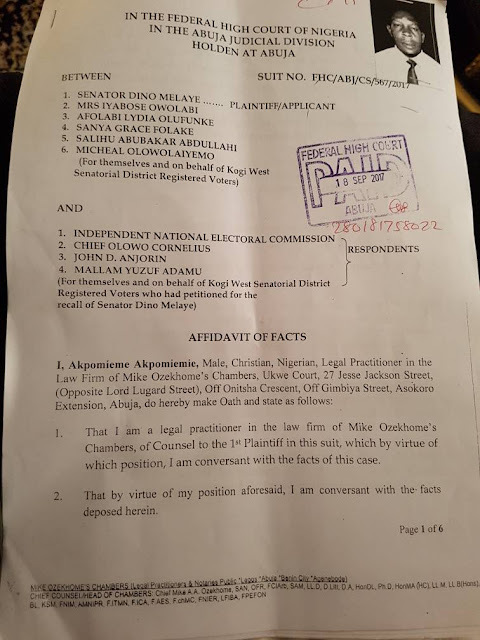 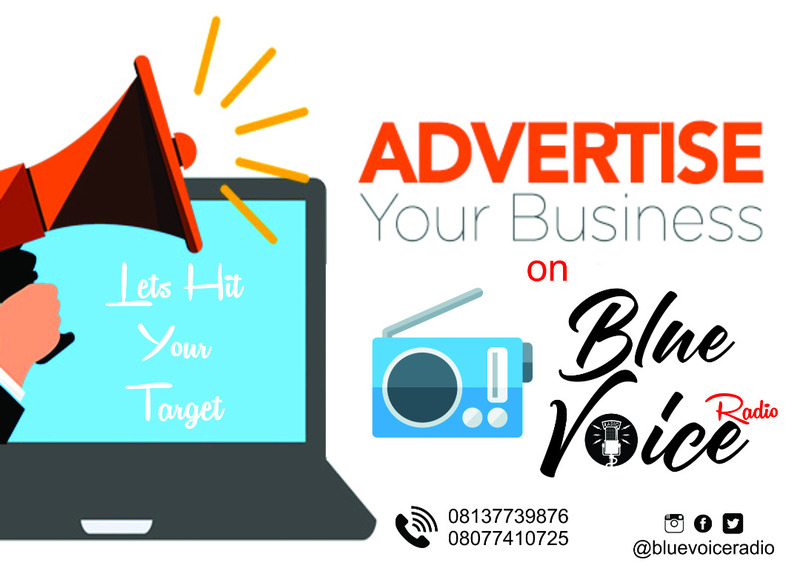 He noted that Melaye will "certainly come back" to the country before the resumption of the sitting of the National Assembly on Tuesday, September 26, 2017 even as he denied insinuations that Mike Ozekhome's Chambers ever withdrew its services of representing the plaintiff (Melaye). "That he (Ozekhome) knows as a matter of fact that the application (by INEC) for substituted service of the purported petition on the plaintiff, does not fall within the exceptions allowed by constitution and the rules of this court that enables the court sit over a matter it had delivered judgement on. 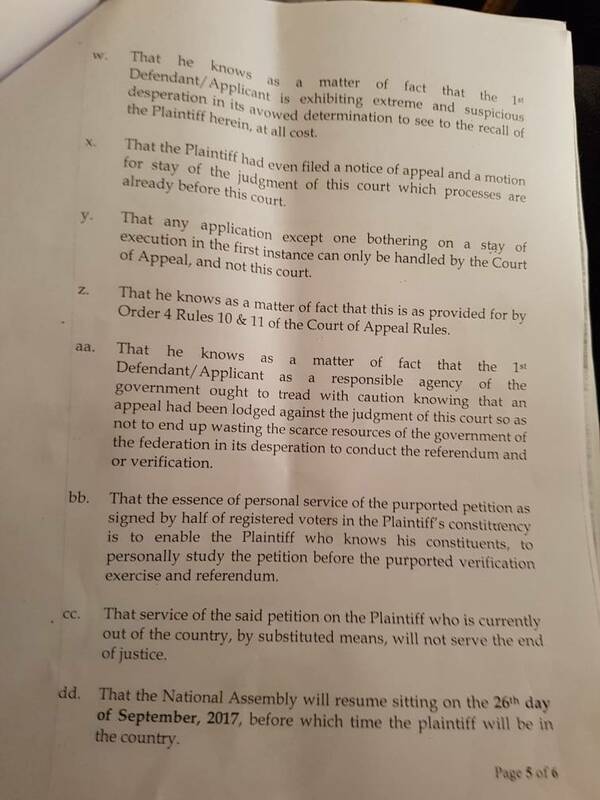 "That service of the said petition on the Plaintiff who is currently out of the country, by substituted means, will not serve the end of justice," he declared. Meanwhile, when the matter came up this Monday, Justice Dimgba refused to grant INEC's request of substituted means of service on Melaye, directing both parties to re-appear before him on Thursday, September 28, 2017.